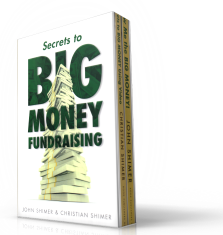 In other blogs, I disclose the fundraiser’s most guarded secrets about how to create BUY-IN for any project. I call this BUY-IN process THE FARMER’S PARADIGM. Now, however, let’s talk about the success elements for solving problems and presenting solutions to others. In building your case statement, you must present, in draft form at the very least, your best ideas for addressing the needs you identified, the needs that have grabbed you by the throat and demanded your attention. Will your proposed solution have the same impact as your need definition? Let’s go deep and see what this means, beginning with the last, compelling. The WHO aspect of this reality is part of the compelling ingredient of any solution. So let’s start there. Everyone who reads your case statement wants to know who you are. What are the credentials of the group or organization bringing forward this solution? Do you have credibility? Is that credibility based on a long history of validated accomplishments? Or are you a newbie who has an amazing idea that you are trying to introduce to solve a real problem? Honestly, it’s always easier to present ideas from great, honored, and highly respected organizations when testing out a solution to a real problem. Doors just seem to fly open for them. But don’t ever tell me that the new kid on the block can’t succeed if he or she has a fantastic new approach to solving a problem. Think about Maggie Josiah and African Hospitality Institute, from Turn Right at the Dancing Cow. In 2002, when Maggie returned from her very first visit to Africa, she announced to me that she was going back to live out her life in Uganda and establish a vocational school in the middle of the Luwero Triangle. Everything was against her. She had never lived in Africa. She did not speak any of the local languages. She had lots of experience and an abundance of skills in the hospitality industry, but she had never run a school, let alone started one from scratch. She had no money. She had friends, and some of them had money, but she was only peripherally involved in the lives of the people she knew with money. She had never been involved in fundraising. Building charitable giving communities was a skill set totally lacking in her qualifications. She was 50 years old, therefore, no spring chicken. Where would the energy come from to sustain her through the hardships she was certain to encounter? I could go on indefinitely about the odds against her succeeding. What Maggie had going for her was a powerful, compelling idea. It was a very simple idea really. She would take the best and brightest young men and women she could find in the bush of Uganda and give them a two-year education in hospitality-industry skill-building. I have known others who had very similar challenges. Some were even children with great ideas. And they, just like Maggie with her project, made it happen. I am always thrilled when things turn out well for newbies. But I also know of many people without credentials, no history of success, no connections, no prior experience, and really good ideas that failed miserably. Why? Actually, for lots of reasons! Let me list just a few. · They did not know how to motivate others. · They did not know how to present themselves. · They did not know how to sustain relationships over time. · They did not like the idea of accountability and transparency, so essential to success in all enterprises requiring the investments of other people. · They could not or would not stay focused on their project, either becoming bored or suffering from mission drift. There are lots of other reasons newbies fail, but this is a good starter list of potholes and pitfalls to watch out for. Maggie Josiah succeeded with African Hospitality Institute because she NEVER took her eye off her vision. Let me remind you that it required four years of fundraising and traveling back to Uganda for several weeks each year to clear the jungle and build buildings and create connections and earn the trust of villagers and others in that nation before she could live there full-time and enroll her first class. Think of the focus and dedication required to stay the course for four years. Plus, Maggie had God on her side, and I say that with enormous respect for both God and Maggie. When Maggie aligned her spirit with God’s spirit, she became a different person. She stopped being the shy, frightened, middle-age woman I first met in 2001 and became a warrior, ready to meet and talk with anyone who would listen to her about her dream. She not only was upbeat and positive about making her dream come true; she also exuded a quiet confidence that can only come from someone who KNOWS his or her destiny is certain. Oh, she’ll tell you in a heartbeat that inside she was shaking like a leaf, but on the outside she was like steel. She even made a believer of me. It is very important that you understand that not having the big guns, with established street credibility, and immediate entrée to the power elite in a community does NOT mean you will fail. So, if you have a great project and it will help solve a real and urgent problem, have heart! You can succeed if you learn and apply all the lessons I teach here.